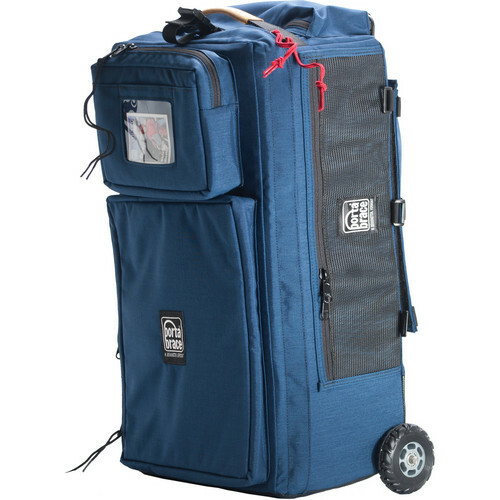 Box Dimensions (LxWxH) 24.0 x 12.0 x 9.0"
WPC-1OR Wheeled Production Case (Small, Signature Blue) is rated 5.0 out of 5 by 2. Rated 5 out of 5 by mnm207 from Good rolling case With my existing rolling bag on the edge of falling apart (after four years of near daily use) and just slightly smaller than I wanted, I looked around for a replacement. I needed something that I could fit both my camera kit (two Fuji mirrorless bodies, four lenses) and lighting kit (two Lumedyne packs and two heads) plus their respective accessories. Everything I need on a shoot easily fits into this bag (except for stands and large light modifiers, which are in a separate stand bag). In fact, I can add a laptop, external hard drive and tethering kit as well when necessary. Its looks might not be for everyone, but functionally it is worth every penny. I've kept the old bag for the occasional event or carry-on need; for my day to day corporate projects the WPC-10R is a winner. Rated 5 out of 5 by Nate K. from Great Product Solid construction and very sturdy wheels.